​or to custom build on your own lot. Chisholm Crossing is a new master planned community located at I-40 and Mustang Road in West Oklahoma City. Chisholm Crossing is located in the top rated Yukon School District and has easy access to shopping, dining, health care and other services in Yukon, Mustang or Oklahoma City. ​Homes starting at $ 150,000.00 - 1200 to 1550 sq feet. Mill Creek Pond Estates is a growing beautiful and peaceful community in Choctaw, Oklahoma. We are only a few minutes away from Tinker Air Force Base and Town Plaza Shopping Center in Midwest City. Conveniently located close to I-40. We are part of the amazing Choctaw Nicoma Park school system. Homes starting at $ 150,000.00 – 1300 to 1600 sq feet. 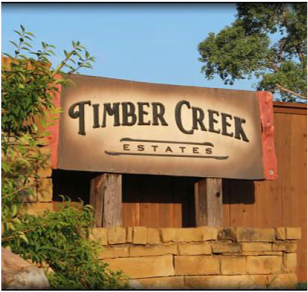 Timber Creek Estates offers the best of all worlds. Oklahoma City utilities, fire, police & Mustang Schools. Timber Creek Estates is a wonderful neighborhood conveniently located at SW 15th and S Mustang Rd near I-40 and the turnpike. This community has many amenities such as a community pool and basketball court. Homes starting at $ 170,000.00 – 1350 to 1600 sq ft.